Materials contain six copies of Ice Cream and Elevators, the first student film produced at Brigham Young University. Film is a love story of a young man at Brigham Young University interested in a particular young lady, who has a boyfriend on a mission and must choose between the two. Dated 1971. Access Restrictions: Condition restricted; permission to view items must be obtained from the Supervisor of Reference Services. Patrons should use reference copy. It is the responsibility of the researcher to obtain any necessary copyright clearances. Permission to publish material from Ice cream and elevators / ASBYU Culture Office ; producer, Robert D. Starling ; director and editor, Dean Stubbs ; screenplay, J. Ronald Clark must be obtained from the Supervisor of Reference Services and/or the L. Tom Perry Special Collections Board of Curators. Includes 16 mm prints, with sound and color. 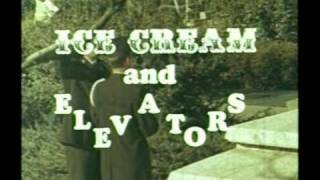 Initial citation: UA 5610; Ice cream and elevators / ASBYU Culture Office ; producer, Robert D. Starling ; director and editor, Dean Stubbs ; screenplay, J. Ronald Clark; University Archives; L. Tom Perry Special Collections, Harold B. Lee Library, Brigham Young University. Following citations: UA 5610, LTPSC. Donated by Robert D. Starling in June 2012. Donated; Robert D. Starling; June 2012. Processed; Stephanie Laabs; June 2012. Addendum processed; Erin Owens; December 2014. This finding aid was produced using ArchivesSpace on 2016-02-24 21:24:39 -0700. Robert Starling (born 1946) is a screenwriter, film producer, and film director in Utah. Robert Starling was born on January 31, 1946 in Columbus, Georgia, USA. He produced the first student film at Brigham Young University in 1971 called Ice Cream and Elevators. He is best known for his work on films such as Charly (2002), The Mine (2012), Scout Camp (2009), and An Introduction to the Church of Jesus Christ of Latter-Day Saints (2002). Starling graduated from Brigham Young University in 1971. He is a writer, producer, and director. He is the owner and producer of Trefoil productions. He is the Founding President of the Associated Latter-Day Media Artists and was formerly a producer at LDS Church AV Department. Ronald J. Clark (born 1947) is a public relations professional in Utah. Ronald J. Clark was born in 1947 in Provo, Utah. He served a mission to the Eastern Atlantic States from 1966 to 1968. He attended Brigham Young University and graduated with a B.A. in broadcasting in 1972. Following his graduation, he married Kathleen Petersen and was employed by the Church Information Services. In 1977 he left Church employment to work full-time for the Osmond family. Clark remained in the entertaiment industry until 1985, when he joined the BYU Public Relations office as coordinator of Hosting Services. He later served as director of Public Affairs and Guest Relations.